The beginning of 2011 ... and it's happy ending! I usually post stories on Tuesdays, but this one won't wait! Carrying excess fat isn't good for our health and can lead to years of frustration and misery. And, if the toxic load doesn't kill us quickly, it can lead to rather unpleasant, very intimate encounters with the medical professionals and mega bills! This is my friend Peggy's Husband, Chuck. She shared that 2011 ended much better than she could have ever have hoped for ... She had the joy of watching Chuck dance and sing karaoke!! 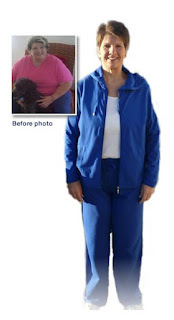 The "before" picture is very hard for her to look at, but having the very happy ending really makes the point: being overweight and eating poorly does not just effect the outside. It's what is happening to the inside that really matters!! Peggy almost lost him, but now he's trim and healthy. INSIDE AND OUT! Please let this be the moment that you decide to work on your health. It's a brand new day and just ripe for a new start. Healthy feels SO good! Thanks Peggy for allowing me to share Chuck's story! Don't wait any longer, give me a call ... let's put a plan into action now! Please welcome Charity! 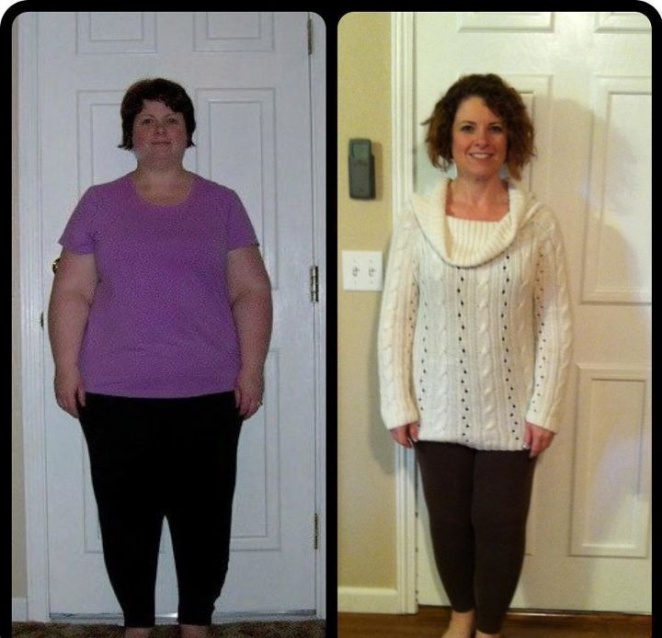 She lost 110 lbs in 10 months. She started the program after flying to southern California to go roller coaster hopping with her daughter. She first had to get a seat belt extension on her flight, had a panic attack in the airplane bathroom and was kicked off the roller coaster at Six Flags because they couldn’t lock the safety bar. "Even with four attendants jumping on the safety bar, nobody could close it ... Everyone was watching me. So humiliating. Ruined the whole trip." Charity has a very adventurous spirit but didn’t have the body to accommodate. Now she enjoys being an active able mother and wife. She has participated in the Wild Canyon Games, loves to go hiking and pushing herself to the next goal. 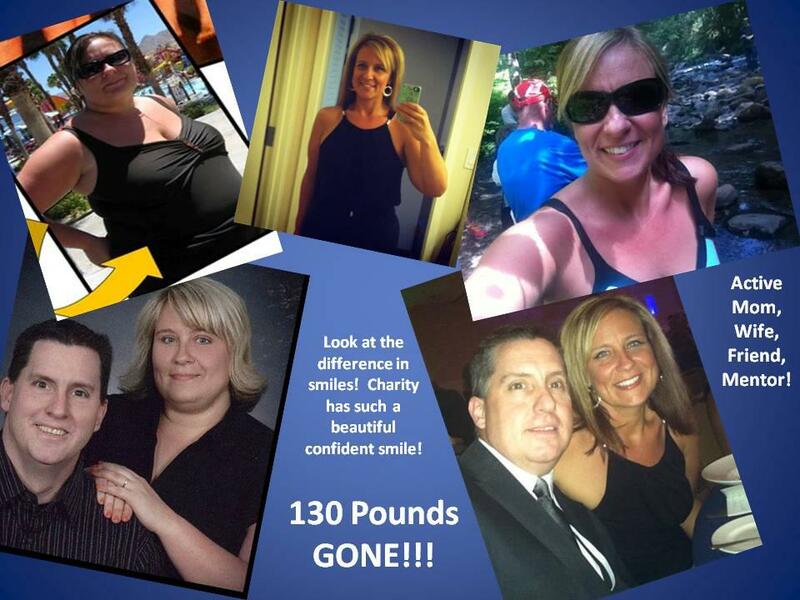 She is now down 130 pounds and her future is full of delightful roller coasters. CONGRATULATIONS! Taking the weight off isn't as difficult as you may think. We understand that it's not about losing weight, it's all about gaining knowledge, skills, and health!!! Don't hesitate any longer. We can help you! Call me today, 503-313-4820. Angela Bailey, Click on her name to read her story. Free to Be full of Hope ... this is a lovely! The best part is that I know these folks ... Kipp's "shrinking over time" pictures really inspired us when Greg got started 3 1/2 years ago. I am feeling soooooo good. Not one little cheat since we met up on Sunday. I am down 7 lbs, determined to stay the course! I am reading up on all my literature, and sticking to the program. I feel better than I have felt in a long, long time. My inflammation is way down, I can feel it! I have been sleeping sooooo good through the night. No night sweats, and “two hour middle of the night thought sessions” Yay! My leg is better. I don't have as much pain anywhere as I did just 3 short weeks ago. Wow! One little piece of advice, just do the Program for today ... Don't worry about tomorrow or 50 pounds from now. If you are female, you are going to be losing 2-5 pounds. Guys lose it the fastest and you can put it on your calendar! The key is to stay in "Fat-Burning" otherwise people feel hungry, crabby, and tired - the feelings that make typical "Starve and Sweat" programs so miserable and unsustainable. This means keeping the carb intake under 85 per day. Carbs, including bread, pasta, crackers, and sweets, should be thought of as being highly addictive, just like cocaine! Don't let them anywhere near you!!!! Fruit is also avoided during the weight loss phase because of the sugar/carbohydrate level even though they are very healthy and will become an important part of your maintenance plan. Why is it important to you to lose the excess weight? What will change for you as the weight comes off? Who is on your personal "Support Team?" Who might sabotage you and not really want you to change or lose weight? Have a Great week, I look forward to getting you started as a coach ... remember to check in regularly! Polly. Preheat oven to 350°F or outdoor grill to medium-high heat. In a medium-sized bowl, combine chopped tomatoes and shredded mozzarella; toss with ½ tsp of olive oil, rosemary, black pepper, and garlic. Remove stems from mushroom caps and discard. Using a spoon, scoop out interior of mushrooms to create “mushroom bowls.” In a small bowl, mix ½ tsp olive oil, lemon juice, and soy sauce. Using a pastry brush, brush soy sauce mixture on both sides of mushroom caps.In the oven: Bake mushroom caps in oven until soft, then divide tomato and cheese mixture into mushroom caps. Cook an additional 2 minutes, or until cheese is melted. On the grill: Once warm, grill mushroom caps, starting with stem-side down, 5 minutes on each side or until soft. Spoon ¼ of tomato and cheese mixture into each cap. Cover and grill about 2 minutes or until cheese has melted. (For easy cleanup, place a piece of aluminum foil directly on grill; lay mushroom caps on aluminum foil.) Garnish with cilantro. Each serving includes two mushrooms and ½ cheese and tomato mixture. This recipe is from a delightful TSFL coach, Molly, who has taken off 150 pounds and gained years of health! Her photo is at the end of the recipe. Enjoy! It has been a while since I posted a new recipe … busy, fun, exciting summer … but it left little time for blogging! And this one was borne out of a need for a last-minute meal based on what was in the fridge. I had stir fry on the menu, but all we had thawed was ground elk meat. In the past, these creations were referred to as Refrigerator Goulash at our house. I opted to combine that concept into a stir fry this time around. You can decide which it actually is … either way, it was super yummy and well-received! The zucchini, green beans and some of the tomatoes were from our own garden. And the elk was from my hubby’s hunting trip last fall. So this was a VERY economical meal for us! 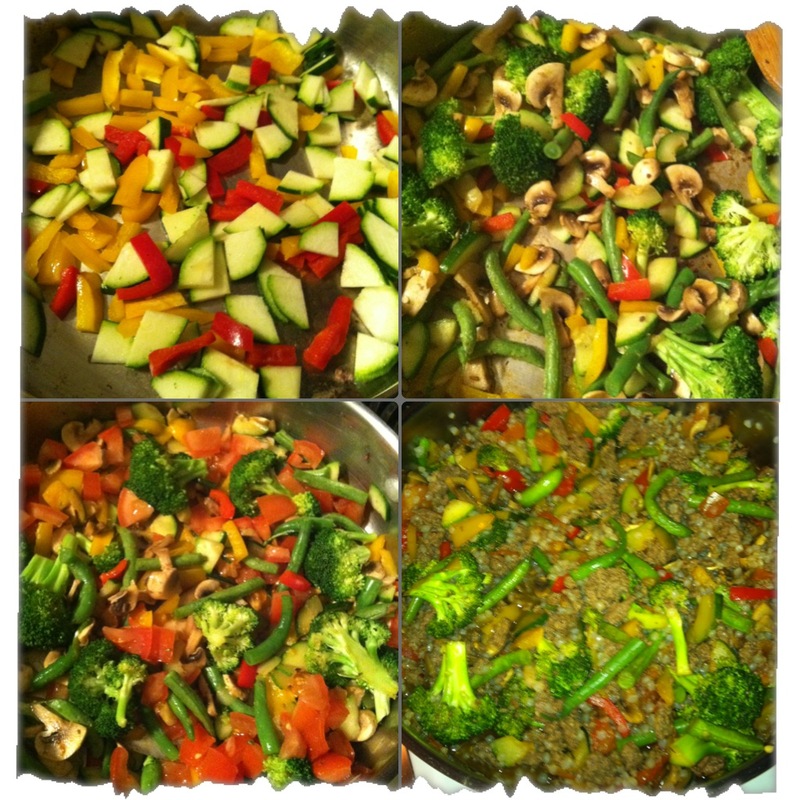 From beginning to end … yum!!! 1. Cook ground elk until cooked all the way through. Remove from pan and set aside. 2. Add chopped peppers, zucchini and green beans. Saute until veggies start to soften, approximately 5 minutes. Add broccoli and continue to saute, approximately 2 more minutes. Add mushrooms and continue cooking, stirring occasionally, until mushrooms start to “shrink”, approximately 3-4 minutes. Add tomatoes, and continue to saute for another minute or two. 3. Mix soy sauce, lime juice and garlic seasoning in a separate dish. Add to veggies, stir well, and let simmer for 3-4 minutes. 4. Add (blanched) shiritaki noodles to veggie mixture (if there is not enough liquid to cover everything, add a little water). Cook for about a minute. 5. Add meat back into veggie mixture and cook until heated through. Stick to the Plan - you can do it too! cal cancer had me going through so many treatments and feeling pretty miserable. After 9 years of the back and forth battle, I just couldn't take the treatments anymore. My doctors said to lose a minimum of 20 lbs to get started. Here I am, 40 lbs lighter feeling better than ever and last week, I was told that I am a stage 0! Trust me stage 0 is way more exciting than being a size 0 in jeans!" What do Midwives and Health Coaches have in Common??? With tape to hold up my glasses! I just read a lovely blog that really resonated with me about taking care, nurturing, and seeking alignment. 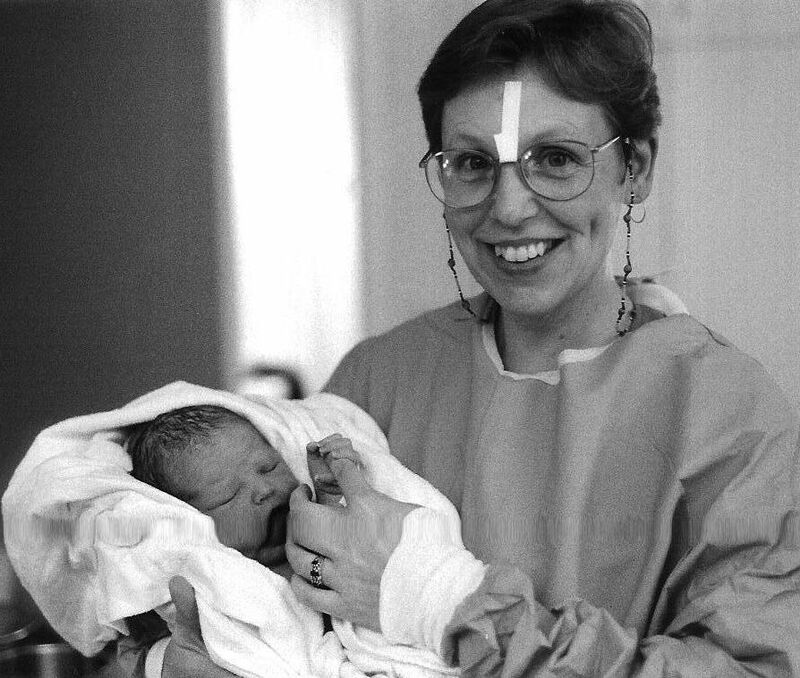 It reminds me of my many years of caring for moms, catching babies, and witnessing the birth of families. The concepts presented describe what Midwives and Health Coaches have in common and do every day. Just as there are not enough midwives, there's a real need for more Health Coaches too ... Both careers are fun but I'm happy to say that being a Health Coach doesn't require the time and expense of additional years of training or necessitate staying up all night! I'd like to take this opportunity to invite you to contact me for more information on becoming a Health Coach. Helping someone gain health and lose weight with a program that actually works, is affordable (cost neutral), and has sustainability, is rewarding beyond my wildest dreams!!! I'm looking forward to hearing from you. Enjoy the article! Polly. Today marks my 5 year anniversary of being a Health Coach and in commemoration I am going to do a 30 Days of Hope project on Facebook. My entire life...physically...mentally...and financially...have changed as a result of this program. Enjoy the examples of just a small fraction of the people who've also been transformed. I'll start with my best friend and someone I'm thankful will be around hopefully a little longer now that he is healthier...Joe...85 lbs gone for him...also for 5 years! "Weight of the Nation" examines the biology of weight loss. We at Health Coach Resource know there are programs programs for loosing weight that really work. We also know that while in the process of loosing the weight, it is important to create a change of lifestyle that will help you maintain health for life. This series has really helped us understand the epidemic we are in the midst of and how to make the positive changes needed to turn us around! Fast Food: Not Our Friend! Despite what the fast food industry wants you to believe, the majority of the food served in fast food restaurants are high in the things that are not good for our bodies and low in quality nutrition. Decide to be an informed consumer, make good food choices and you can bring health into your life. The following article is just further evidence on what is happening, not just in the United States, but all around the world. To use an election year slogan, “vote with your dollars.” We at Health Coach Resource, encourage you to take a stand and do what is right for you and your family. Are Global Market Forces Linked to Obesity Epidemic? THURSDAY, Dec. 29 (HealthDay News) -- Nations with open trade policies have greater densities of fast food restaurants and higher rates of obesity than those with more trade controls, a new study has found. "It's not by chance that countries with the highest obesity rates and fast food restaurants are those in the forefront of market liberalization, such as the United States, the United Kingdom, Australia, New Zealand and Canada, versus countries like Japan and Norway, with more regulated and restrictive trade policies," lead researcher Roberto De Vogli, an associate professor in the University of Michigan School of Public Health, said in a university news release. For example, the analysis of data from 26 wealthy nations showed that the United States has 7.5 fast food restaurants per 100,000 people, and the density in Canada is 7.4 per 100,000. Obesity rates in the United States are 31 percent for men and 33 percent for women, and obesity rates in Canada are about 23 percent for men and women. In comparison, Japan has 0.13 fast food restaurants per 100,000 people and Norway has 0.19 per 100,000 people. Obesity rates in Japan are 2.9 percent for men and 3.3 percent for women. Obesity rates in Norway are 6.4 percent for men and 5.9 percent for women, according to the study published in the December issue of the journal Critical Public Health. The effect that market forces have on obesity is largely overlooked, according to De Vogli. "In my opinion, the public debate is too much focused on individual genetics and other individual factors, and overlooks the global forces in society that are shaping behaviors worldwide. If you look at trends over time for obesity, it's shocking," he said in the news release. "Since the 1980s, since the advent of trade liberalization policies that have indirectly . . . promoted transnational food companies . . . we see rates that have tripled or quadrupled. There is no biological, genetic, psychological or community level factor that can explain this. Only a global type of change can explain this," De Vogli stated. Copyright (c) 2011 HealthDay. All rights reserved. What it means to "Iterate." "Iteration means the act of repeating a process, usually with the aim of approaching a desired goal or target or result. Each repetition of the process is also called an "iteration," and the results of one iteration are used as the starting point for the next iteration." When combined, innovation and iteration become the learning processes by which we grow. This is how we learned to ride a bike as a child. We first experienced a burning desire to ride, tried it, failed, and tried again until we got it! Progress requires innovation - incorporating what we have learned and repeating it until we get it right. When we do not incorporate innovation and iteration, we experience irritation and just stop trying. Do not become frustrated by failure, we all fail. Pick yourself up, brush yourself off, apply what you have learned and keep on keeping on. Have a "stunningly great life." Just thought I would share a recipe for the stuffed mushrooms we cooked up for dinner tonight. Start by cleaning the mushrooms and popping out the stems. Lightly oil the caps, place them on a baking sheet upside down, preheat the oven to 400 and set the caps aside while you prepare the filling. In a lightly oiled pan, on medium heat, saute the onions, garlic, tempeh, mushrooms stems and greens. When the mixture has just about finished cooking add the Tamari, blend in and turn off heat. If you choose to use cheese, blend in now. spoon filling into caps, rounded just slightly. Bake in preheated oven for 20 minutes or until mushrooms have wilted and are hot. Serve with a salad or your favorite green vegetable. Polly gives this 5 stars. 12- large mushrooms, finely chop stems. 1- medium-small onion, finely chopped. 2-4 cloves of garlic, finely chopped. 1-8 oz package organic 5 grain Tempeh, cubed and finely chopped, or substitute lean ground meat. 1-Tbs Tamari or soy sauce. I use Tamari because all my recipes are gluten free. 1/4 cup Parmesan cheese or for vegan use soy cheese. 1-cup finely chopped greens. I used kale. Parsley or any other greens you would stir fry works well. Create, cook and enjoy. Tell us about any variations you use or share with us your favorite stuffed mushroom dish. The Tempeh is a little high in carbohydrates if you are following a Medifast 5 and one plan. You can substitute ground meat, low fat cottage cheese or tofu for few carbs. The Five Grain Tempeh we used has 15g carbohydrates and 13 g protein per serving. Garnish. Serves 2-3 as a main dish. 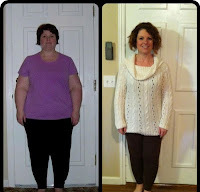 I just viewed this lovely Amazing Grace Video of Margene's journey to health. This is a precious reminder that gaining health and well-being is much more than figuring out how to lose weight ... it's all about figuring out who we are and why we are here. Contact us to get started, stay on track, and learn how to help others ... By linking arms, we can make such a difference in so many lives! Polly doing the "Fat and Sugar Show"
Five of us from Health Coach Resource had the privilege of being part of OMSI's first annual "Dirt to Dinner" Fair this past weekend. OMSI is the Oregon Museum of Science and Industry. We learned about composting, growing a vertical garden using recycled materials, keeping bees, butchering a chicken, catching rain water and so much more! Thank you to all the food vendors and staff - what a great event!! Health Coach Resource looks forward to being part of it again next year!!! Greg explaining the wonders of kale! For our presentation, I did an abbreviated version of the "Fat and Sugar Show." 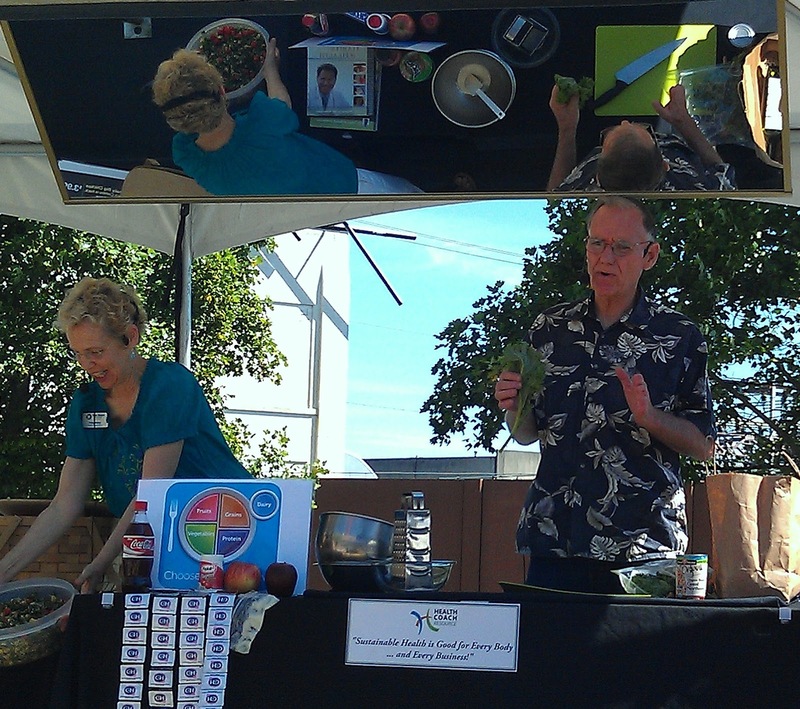 Then, Greg showed the crowd how to make his wonderful Bruised Kale, Tabouleh Salad and we passed out over 100 samples. It's wonderful to be part of a movement to create health! As coaches, we get to hear the stories, help individuals and families transform their eating habits, lose excess weight and prevent a whole lot of weight related illness and misery. Contact us for more information on becoming a client and/or a coach ... we are really excited to hear from you! Heads up! We are part of a "Free to Be ..." Contest and you can enter!! Contact me as soon as possible - we'll help you with ideas, staging, and filming! Click here for information on how to enter. We recently discovered how wonderful kale is raw. Previously we assumed that this nutritious green was too tough to eat raw. We have now found that, "massaging or bruising," kale makes a wonderful salad green. We use kale with, or in place of, parsley in Tabbouleh Salad. I prepare the kale by cutting out the stem, bruising it with a rolling pin on the cutting board and chopping it to my desired size with my chefs knife. There are other methods and recipes you can Google. This tasty salad has 6-7 raw vegetables. Add the low calorie, low carbohydrate dressing below and it will easily feed six people. Makes a very tasty and colorful potluck dish. Recipe for "Bruised Kale Tabbouleh." 2 cups- grated cauliflower or cooked quinoa. 1- Bunch green onions, chopped. 2- Stalks celery, sliced and diced. 8 oz- Cherry tomatoes, halved length wise. 1. Blend all prepared Vegetables in large bowl. 2. Prepare Dressing in shaker jar. Be sure to shake vigorously to dissolve miso. 3. Blend Dressing into Vegetables and chill. This recipe can be varied to suite the vegetables you prefer and have in your refrigerator. We often add our protein to this salad for a one dish, Lean and Green compliant meal. There is no right or wrong way, it is a very nutritious salad and however you tweak it is the right way. The government agencies alone cannot make change. "Weight of the Nation" takes a look at how the NIH is working to understand the complex problem of obesity. NIH spends over $800,000,000 a year trying to find the answers. Even spending all that money will not make a difference without you and I willing to take action. It is time to step up to the plate, or step away from it. Contact us today at Health Coach Resource and take action towards better health. One of the best things I love about coaching is the stories ... and the photos ... oh, an the smiles, and determination, and transformation and ... everything!!! This is so inspiring ... I've watched in three times already and will watch it any time I'm having a "Pity Party" or "Wish I were Better" moment! It's like a gift to savor and share ... This is how I feel about our clients and coaches!!! I'm going to be a presenter at OMSI on this Saturday and Sunday!!! 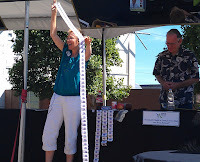 To Participate in OMSI’s New Dirt to Dinner Event this weekend! 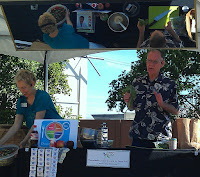 Health Coach Resource will be one of dozens participating in a one-of-a-kind, free, bilingual festival at OMSI that explores the life cycle of food – from farm to table and beyond. The Dirt to Dinner event will take place on Saturday and Sunday, August 4 and 5, from 10 a.m. to 4 p.m. and highlights activities and organizations, like Health Coach Resource, that support sustainable food choices. Dirt to Dinner will help families learn more about the different stages of food -- where it comes from and how it gets there. Hands-on activities will teach families how to make more sustainable decisions about their food -- economically, environmentally and socially. The event will highlight skills such as sustainable shopping, food preparation, gardening, food waste management and food preservation. Health Coach Resource will start us off on stage by sharing elements of their "Fat and Sugar Show" at 11am. They'll introduce concepts on how to feed your family without busting your pocketbook, and share how to prepare their famous Bruised Kale, Tabbouleh Salad. Health Coach Resource works with individuals and families on habits that will help them slim down, restore health, and sustain well-being and vitality. Visit them at booth #8 throughout the event! For more information, visit our event pages. Saturday: http://www.omsi.edu/node/3422 and Sunday:http://www.omsi.edu/node/3776. Click here to see the map. Fear strangers: "What will they think of me? What if it's another hyped up scam?" Fear of getting hopes up and having them dashed: "What if I can't do it? Or hate it?" 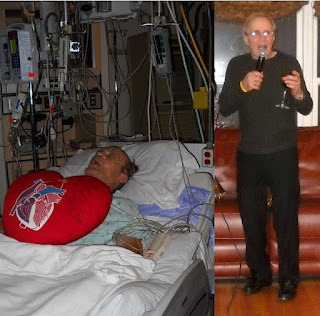 Fear of change: "When I was slim, guys looked at me and I was vulnerable ..."
Fear of failure: None of us want to start a program to lose weight and gain health then experience the deep disappointment of regaining the lost pounds of fat with interest! Click here for more info on Fear of Failure. As a Health Coach, my "job" is to present the information, show the way, and mentor you through the process of losing weight without hunger or typical dieting frustration. My REAL goal is to discover YOUR goals, guide you through our rapid weight loss program and help you regain health beyond your wildest dreams!!! Finally, each client is unique and wants a slightly different style of coaching. Each of our Health Coaches is willing to invest the time and energy to match the style of coaching and connection you need so that "Fear of Failure" need never be a reason for putting off coming on program, setting your goals, and getting on the path to regaining your health!